My BM - Students Speak ! This October break the school went to Austria for five days but before that we made a stop in the beautiful city of Salzburg for one day. We all had the opportunity to go to a salt mine and had a good time sliding in the mines. In Vienna we visited the summer and winter Palace of the Emperors and had the chance to wander around and take some pictures. Whilst in Vienna we went to an amusement park where the oldest big wheel was, and to a Mozart orchestra. We also ate the famous saccher cake and took a cooking lesson to learn how to make a typical Austrian meal. We had lots of free time to do some shopping and walk around the city as well. 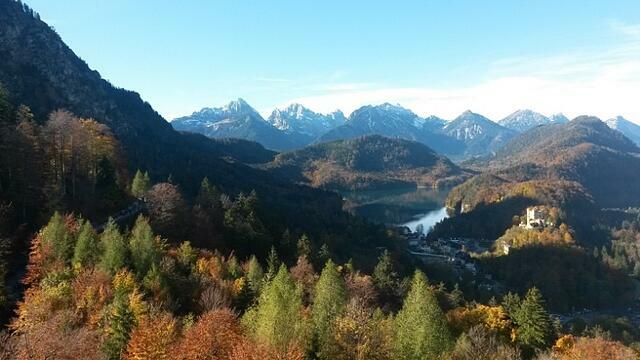 On our last day we visited the Neuschwanstein castle in Germany which was surrounded by idyllic views. It was an amazing trip that everyone enjoyed!